CETTO AG reclaims your used bearings. You can collect and keep what would otherwise end up in scrap. After the processing and preserving, when the bearings are shipped in safe packages from our work, they correspond to the quality of new bearings. We guarantee rolling element tolerances within 5μ, which are tighter than the specification for new bearings. Here we provide you with optimal utilization and extended life of bearings. Through our independence from bearing manufacturers, we do not have the direct sales of new bearings in focus. We concentrate solely on the interests of our customers, namely the combination of best quality and cost savings for used bearings. 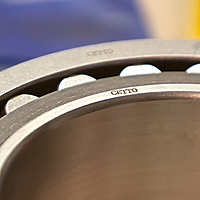 Our range of services covers all kinds of bearings from premium manufacturers. paper industry, grain industry, sugar industry, cement industry. Our service team is well motivated and equipped to respond effectively and efficiently to your needs in emergencies as well as in planned measures. 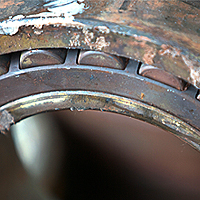 Our partner in the field of bearings reconditioning is the company Timken.